This architectural masterpiece located in the exclusive lakefront community of Sheerwater in Kelowna, British Columbia, Canada has a chic modern European elegant design by All Elements. 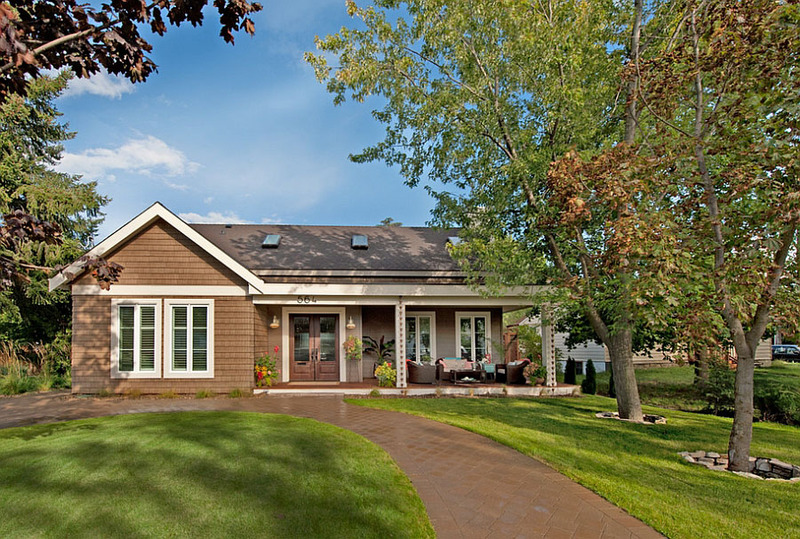 The simplicity of the architectural design speak for itself. Aluminum, glass and concrete materials were used, creating a stunningly minimalist effect. 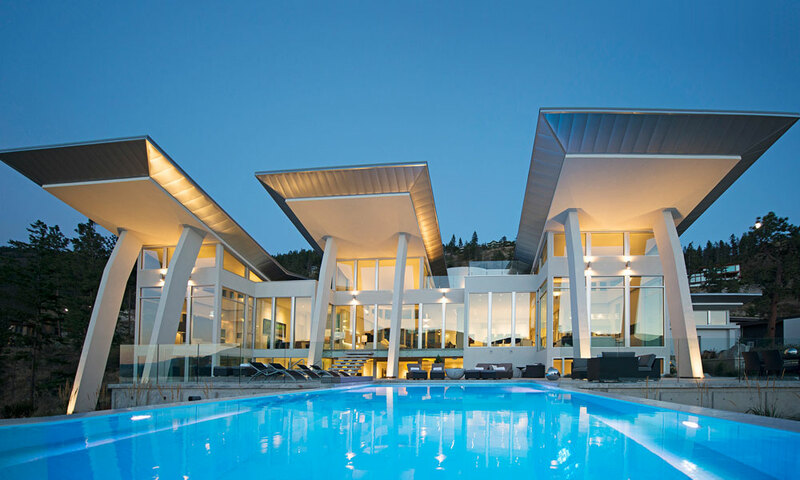 Architect David Tyrell designed this gorgeous contemporary house in Kelowna, British Columbia, Canada. 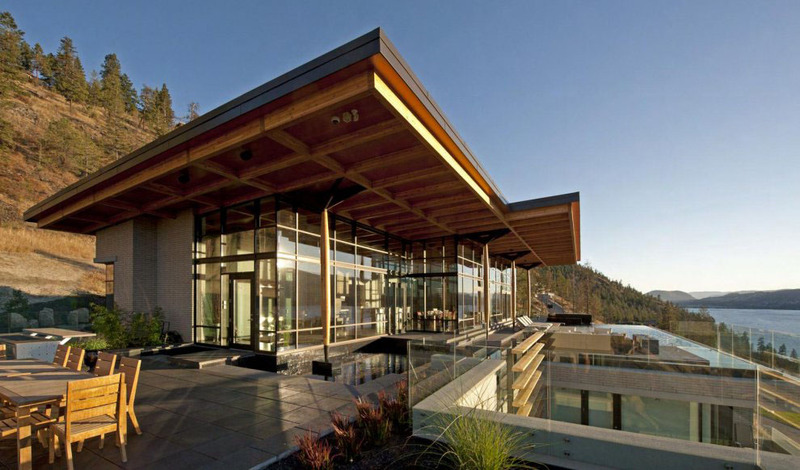 Built on a cliff with stunning panoramic views of Okanagan Lake, the residence enjoys natural scenic beauty with luxurious interior living spaces. The infinity pool offers the ultimate modern living in a beautiful environment.